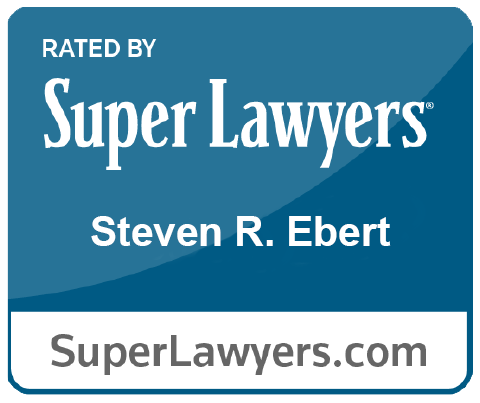 Steven R. Ebert has significant experience in real estate, finance and general business transactions. Steven has represented purchasers, sellers, financial institutions, condominium associations, co-operative housing corporations, landlords and tenants in the acquisition and leasing of residential and commercial real estate. He has advised on many sophisticated tax driven transactions, including IRC Section 1031 Like-Kind Exchanges for investors and FIRPTA matters for international clients. Steven also has a strong background in affordable housing transactions such as HDFC and HPD subsidized co-op apartments. He has represented commercial and investment banks, credit enhancers, loan sellers and government agencies in the securitization of more than $5 billion worth of mortgage backed and other asset backed securities. Steven has also participated in a variety of legal matters that included the formation of business entities, corporate governance matters and M&A transactions. Steven’s real estate clients represent the diverse spectrum of transactions that constitute the market. Whether you are a first-time homebuyer or a global investor, he provides the sophisticated guidance and personal attention for a seamless transaction. Steven has lectured at numerous academic centers and private industry forums, including events hosted by financial institutions, title insurance companies and real estate brokerages, on matters of real estate, business law and taxation. Steven is also licensed by the New York State Department of State to instruct and issue mandatory continuing education credits for the entire New York State real estate brokerage community. Prior to joining Barton, Steven founded Ebert Lontok (formerly Ebert & Associates, LLC), a real estate boutique firm, in 2003. Previously, Steven was an attorney with the law firms of Cadwalader, Wickersham & Taft and Arent Fox. Before Steven started his legal career, he served as a consultant to the Director of Commerce of the City of Philadelphia and worked on economic development programs, real estate tax abatement programs and analyzed business competitiveness factors between major municipalities across the United States. Quoted in “States Seek to Expand Local tax Deductions Narrowed by Congress.” The Epoch Times. (June 19, 2018).